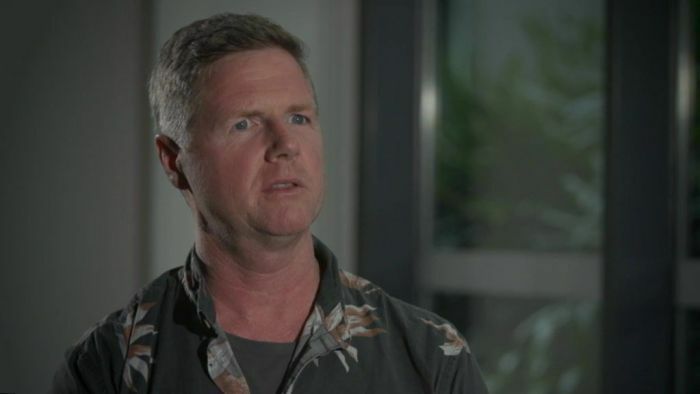 An Australian man who evacuated passengers from a sinking Boeing 737 after it crash-landed in Micronesia last month claims some of the Air Niugini crew panicked and left passengers to evacuate themselves. An Indonesian man died in the crash despite Air Niugini initially announcing all 47 passengers and crew were safely evacuated. It took a full day before the airline announced one passenger was missing and the body of Eko Cahyanto Singgih was later found by US Navy divers. The cause of the crash is currently being investigated by the Federated States of Micronesia with support from the Papua New Guinea and USA governments, with a preliminary report expected by the end of the month. 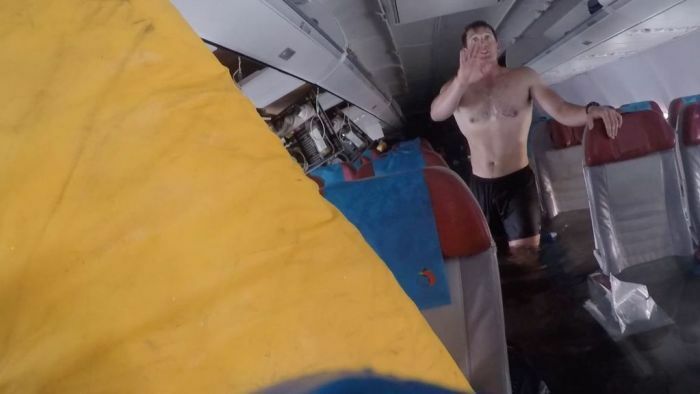 Adam Milburn, a former Australian Navy clearance diver who lives in Micronesia, was on board flight PX 73 when it undershot the runway by 145 metres, landing in Chuuk Lagoon. He has been described as “heroic” for getting passengers to safety. He told 7.30 he was shocked when he realised the plane was in the water. “I was like everyone, kind of floundering. ‘How did we get here? What’s happening? What are we doing right now in a plane that’s floating on the water? '” he said. Mr Milburn said that after the crash the crew yelled at passengers to remain seated. “They were shouting, and I think I would have been in their situation as well. There was panic in their voices, you could hear the panic,” he said. He said he waited in his seat, but there were no further instructions so he grabbed his life jacket and helped others before heading to the exit. Mr Milburn said the pair then evacuated most of the 35 passengers who were on board, without crew assistance. Local fishermen arrived with a flotilla of boats to help ferry the passengers to shore. Mr Milburn said most passengers had head and neck injuries from hitting the front of their seat, and one was unconscious. “The last two passengers that I remember were quite incapacitated, so then there was a challenge about trying to keep their head out of the water because by that stage there was probably water up to knees or waist,” he said. Mr Milburn said he did not see a cabin crew member do a headcount or check names against a flight manifest, but admits that does not mean it did not happen. “I’m not sure of what the procedures should or shouldn’t have been, but it was chaotic. It would have been really difficult to manage that,” he said. A group of sailors with the US Navy, who had been training nearby, were also key to the rescue, and Mr Milburn re-entered the sinking plane to help them search for survivors. One Navy diver swam through the aircraft’s interior to inspect it before they decided it was too dangerous and exited the plane. 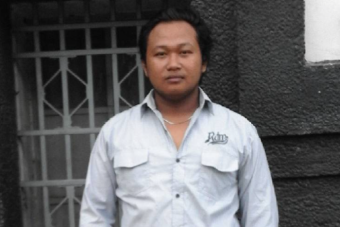 Mr Milburn said he had been replaying in his mind whether he could have done more to save the Indonesian man who died. “If I’d just walked down there and got wet up to my shoulders and just felt around, perhaps I would have felt him and then you could have called for help, but hindsight is a great thing,” he said. “[His death] was hard to take. I was hoping beyond hope he was going to turn up somewhere. American journalist Bill Jaynes, editor of local paper the Kaselehlie Press, was on the flight and praised Mr Milburn for his actions. “I know Adam and I know he would be the last person to call himself anything like a hero, [but] considering there was a plane in the water I would call it heroic,” Jaynes said. “Meanwhile flight attendants, in my section at any rate, were panicking and running up and down the aisles … and screaming for us to all calm down, which of course had the opposite effect. “[Adam] was very calm throughout the whole situation. I can’t recall if he actually took my hand as I stepped out of the plane or not. I just remember his demeanour. Mr Milburn said he was “a bit embarrassed to be called a hero, because I don’t think there was anything particularly heroic in what I did”. “I think one of the things that I came away from the crash with, just a real sense of optimism about humanity and human nature,” he said. Mr Milburn’s wife Lauren was not on board but said she was concerned to hear his account of the evacuation. “I still can’t understand why it was my husband that was deploying the life raft and helping passengers into the life raft,” she said. Aviation consultant Neil Hansford said the accident raised serious questions. “There is enough rafts and life jackets and everything else for it to have been handled without the intervention of the islanders, but thank God the islanders were there,” he said. There are conflicting reports about weather conditions before the plane crashed. Air Niugini has said there was heavy rain, which caused poor visibility. Investigators have access to information about the flight’s final moments after the data recorder and cockpit voice recorder were recovered. Mr Hansford believes that will be a central part of the crash investigation, including whether pilot error was a factor. “He only dropped it into the lagoon 145 metres short of the runway, so he was too low for a very long time and I think what was probably playing on his mind is, he only had 6,000 feet of runway and maybe he was realising he didn’t know the condition,” he said. The Milburn family have been strong supporters of Air Niugini but they have decided to stop flying with the airline for now. Ms Milburn said they are looking for answers about what went wrong. “We’re very keen, just personally, to understand what happened, to make sense of what happened, but also then for us to be able to make decisions about flying and who we fly with and who we feel comfortable flying with,” she said. Mr Milburn added that he would like to see Air Niugini work hard to improve safety. “What I’d like to see is a clear demonstration of what steps they’re going to take to ensure that doesn’t happen again,” he said. It is the first fatal accident in the 45-year history of Air Niugini, which had previously had a good safety record. Air Niugini did not respond to 7.30’s questions. But in a public statement on October 5, the deputy chairman of the Air Niugini board, Andrew Nui, thanked local islanders and the US Navy team who helped passengers and crew. “Their courage and quick thinking helped save lives and our thanks and gratitude goes out to all of them,” he said.